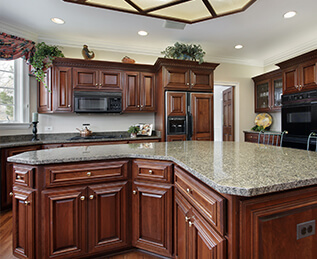 Finding the best custom cabinets in Las Vegas can be a daunting task. Our company has been helping homeowners in Southern Nevada design, build, and install the best options for their budget since the '90s. We try to make everything as affordable as possible. You probably know that you get what you pay for. That is especially true for home remodeling projects. It takes a lot to get the designs and quality that will make your home the way you want it. Is it time to remodel your kitchen? Give us a call at 702 602 9349 to learn more about our services. We have built and installed thousands of designs. We would love to work with you too. Our team is trustworthy, honest, and loyal. We want to earn your business for the long haul. We can build custom cabinets for your kitchen, bathrooms, bedrooms, home office, entertainment center, closets, garages, wall units, and laundry rooms. Schedule a consultation to get a free quote for your design project. 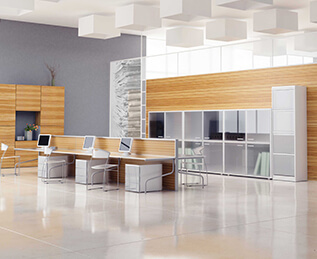 We can work reface many types of cabinets. Our team are experts at handling just about any type of refinishing or refacing job you might have. 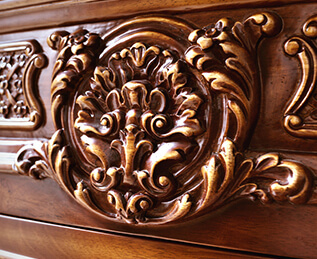 We are not just cabinet makers, we also have a team of excellent woodworkers in Las Vegas. We have been in the woodworking business since 1990, so we can handle just about any type of remodel project you might have. If you have ever remodeled your home, then you know it can be a huge headache! Getting things done on time and on budget is usually a far fetched idea. Luckily, at Custom Cabinets of Las Vegas, Inc. making sure your job is done on time and within your specified and agreed upon budget is our top priority. We will work with you directly to make sure the designs and quality is up to par with your vision. And if you don't have a vision yet, that's OK too. Our designers can create something unique for you that you will love. © Copyright 2018. Custom Cabinets of Las Vegas Inc. All Rights Reserved.